Shopping in Bangkok is quite an experience for tourists and residents of the city alike. It seems as if there is something for everyone if one knows where to look. 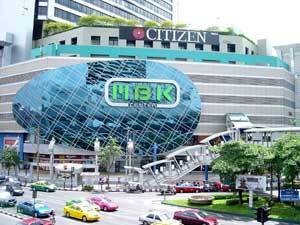 One of the most popular destinations for Bangkok shopping is the MBK Mall. The MBK Mall is a large and sophisticated shopping mall in the heart of the city. 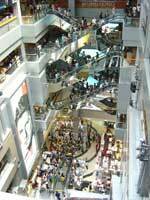 It is home to more than 2000 stores and stretches 8 stories high. More than 100,000 different people from all over Bangkok and all over the world come to the MBK each day, with at least one third of them visiting from other countries. Western tourists are particularly fond of the mall due to the wide range of affordable knockoff items that are found all over the shopping complex in addition to the wide array of authentic merchandise. Elevated walkways connect the Center to the Siam Paragon and Siam Discovery shopping centers, and people interested in deals can find even more products there. The Center has become a landmark of sorts in Bangkok, and is frequently used by people navigating through the city. The MBK is situated in the district of Pathum Wan, and can be reached through public transportation such as the Bangkok Skytrain, or BTS, through the Natioanl Stadium Station. One can also take Siam station. People visiting by boat can use the Khlong Saen Saeb, as the Hua Chang pier is only a few blocks away. Tips for shoppers include not being afraid to haggle. While there are a number of vendors who insist on selling materials at their offered prices, there are many more who are willing to bargain if one can provide an offer that is persuasive enough. There is an entrepreneurial spirit in the city, and it has earned a hard won reputation as a buyer's paradise simply due to the wide range of products one can purchase at excellent prices. There are many unique items sold by street vendors, for example, that are impossible to find elsewhere.